Calendars, Magnets, Pens, Schedule Cards, Pill Reminders, Dosage Spoons and much more! 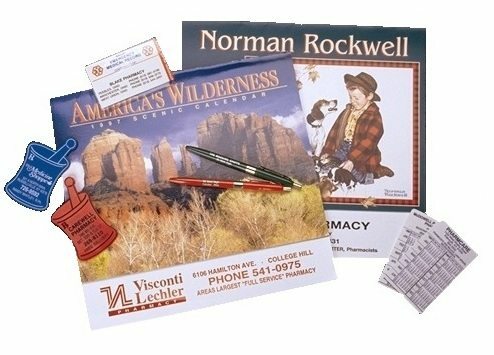 Add your brand to our line of advertising promotional products. Contact our customer service department for assistance in choosing the right products for you.